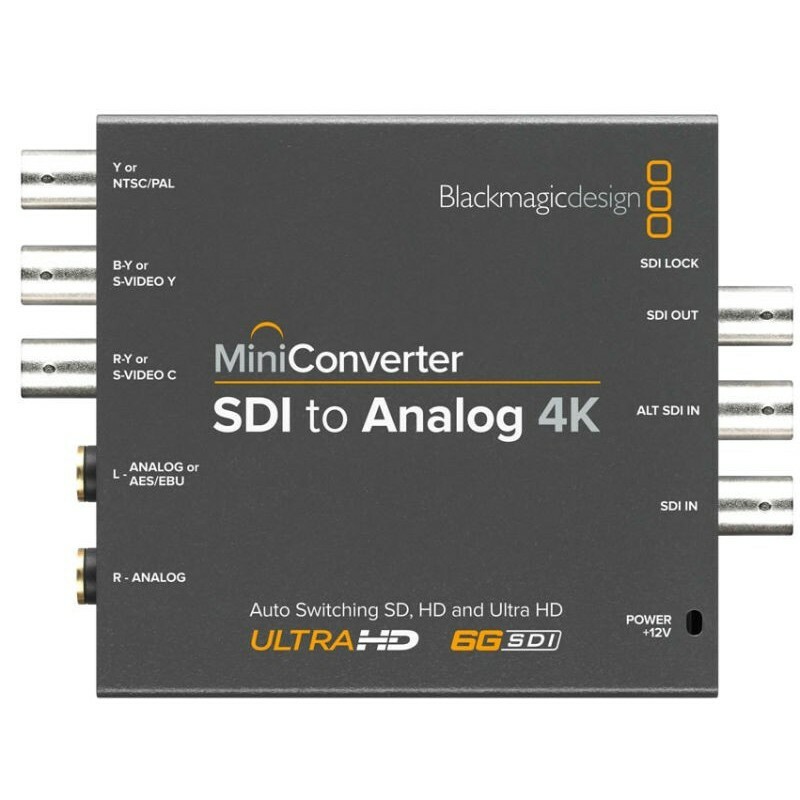 Mini Converter SDI to Analog 4K includes everything you need to convert from SD, HD, 3G and 6G-SDI video to analog in HD/SD component, NTSC and PAL video. The built in down converter means you can even connect Ultra HD sources to component video in SD or HD as well as NTSC and PAL video. Easily connect any analog equipment such as Betacam SP, VHS, and video monitors. SDI Video Input: Switchable between SD, HD and 6G-SDI. 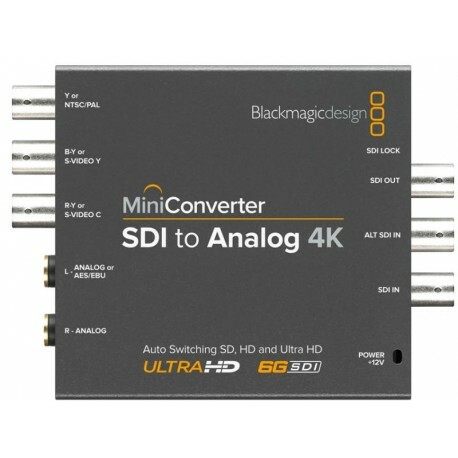 SDI Video Output: Automatically matches the SD, HD and 6G-SDI video input. Analog Video: NTSC, PAL and S-Video from and component HD from 6G-SDI input. 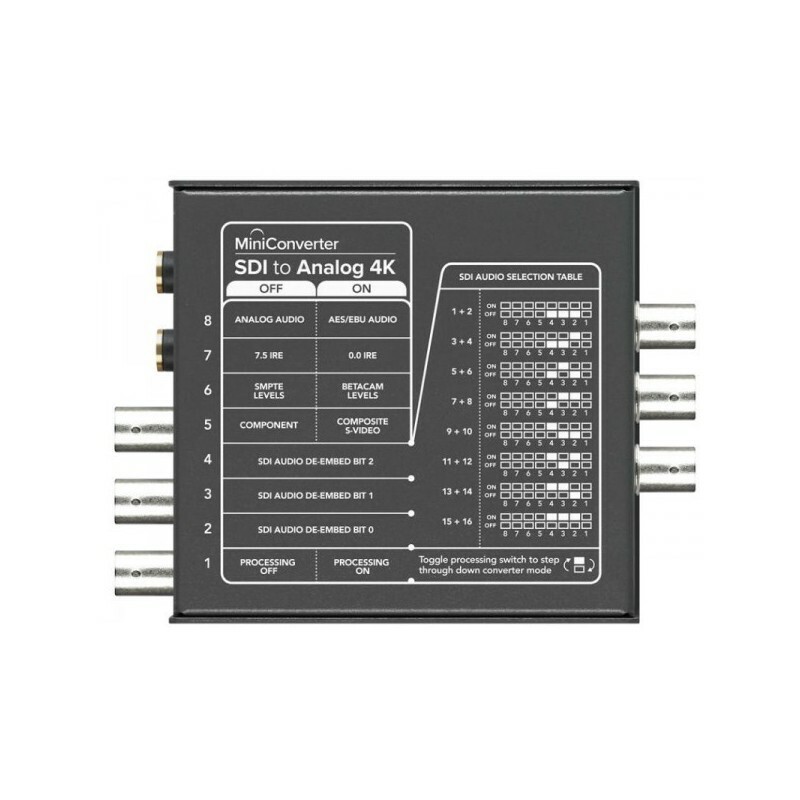 Multi Rate Support: Auto detection of 6G-SDI, HD or standard definition SDI inputs. 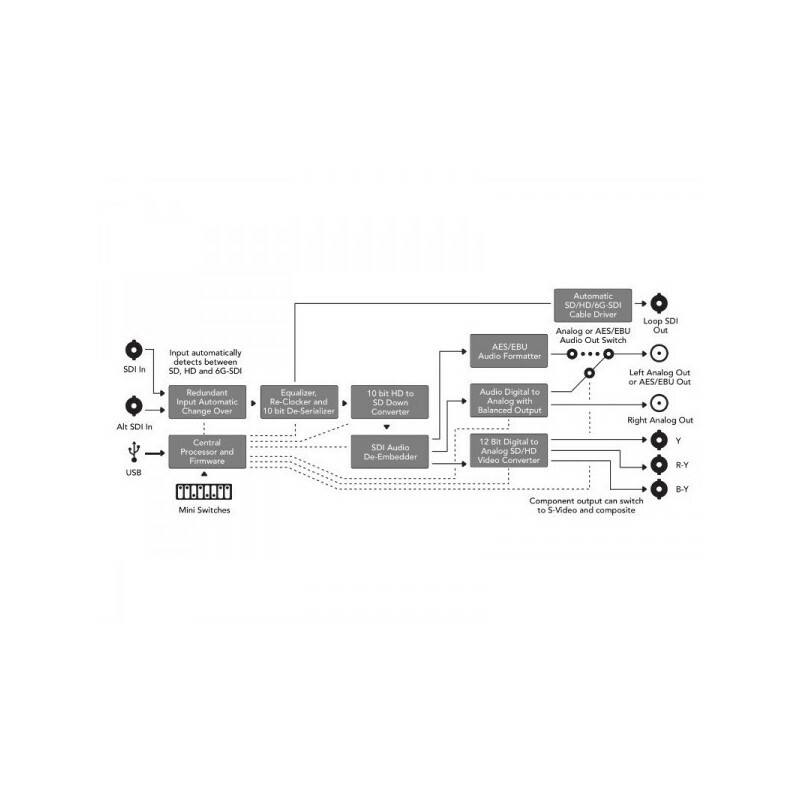 SDI Auto Switching: Automatically selects between SD SDI, HD-SDI and 3 Gb/s SDI.